Welcome to the LVORC Website: Celebrating 50 Years!!! 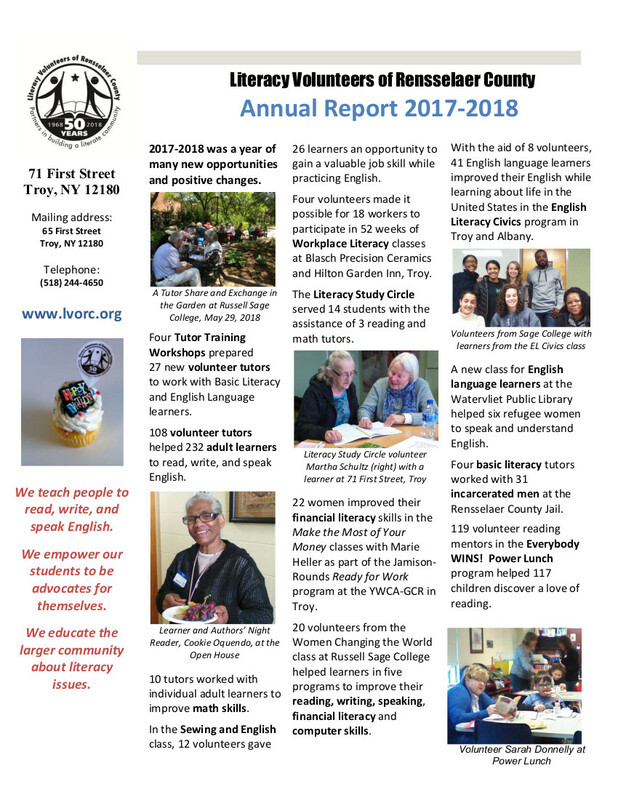 By donating to Literacy Volunteers of Rensselaer County, you can make a difference. By investing your time and talent as a volunteer, you can transform a life. Please browse our website to learn about our volunteers, our students, our programs and the many ways you can help.